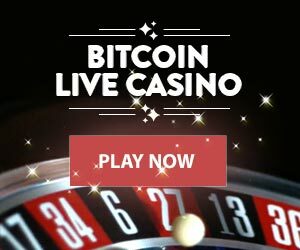 Live casino gaming bridges the gap between gambling at an online casino and a traditional land-based casino by introducing the live dealer as a replacement for the random number generator ( RNG). All the top casino software providers offer live casino games, and one of the best today is Ezugi. There are a number of live games from Ezugi, and one of its popular games is Live Hybrid Blackjack. Ezugi is one of the newer casino software providers in the industry and is today a leading provider of live dealer casino games. The company was founded in 2013 and specializes in live dealer games. It is licensed by the Government of Curacao through Curacao eGaming and certified by iTech Labs. It offers a range of games, including variants of blackjack, one of which is Live Hybrid Blackjack. The traditional game of blackjack has a table that seats 7 players. The number of tables a live casino offers may vary; the number of players per table is always 7 in a regular blackjack game. Ezugi used patented technology to develop, in collaboration with Uplay1TM, the game of Live Hybrid Blackjack. Uplay1 TM has patented technology that enables it to sync a dealer’s shoe with a virtual shoe. This makes it possible to lift the limits on the number of players per table in a game; any number of players can be part of a Live Hybrid Blackjack game. The best thing is that all these features including the ability to seat unlimited number of players at a table come at no extra cost. In fact, the table limits are lower in this game than in most standard blackjack variants. This makes it a good game for beginners and players not very proficient at blackjack to try out. For the operator, lifting the ceiling on the number of players per table means increased revenue opportunities. Once you have signed up with a casino offering Live Hybrid Blackjack, head to the live dealer section. From the list of games available, click Live Hybrid Blackjack. The game screen opens with a dealer and the table against a cool background. The standard rules of blackjack apply to this game; you play against the dealer, not against other players. The objective is to beat the dealer’s hand by putting together a hand valued at 21 or closest to it. Once you are at the table, place your bets. The dealer then deals two cards each to you and herself. The dealer’s second card is dealt face down and called the hole card. If the dealer’s open card is an Ace the Insurance bet option is available to you. Based on the dealer’s hand and the value of your own hand, you make the next move. You have the option of standing, hitting, doubling down, and the other regular blackjack options. The dealer makes his move once you are done with yours. The hand with the higher value wins. The high quality graphics and HD video make for an amazing visual experience when you play Live Hybrid Blackjack. The ability to host unlimited number of players makes this a very viable and safe option for operators as well. This is a game worth playing, just for the simple fact that it is an Ezugi game and comes with the guarantee of a good gaming experience. Copyright © 2018 newstreamz.com. All rights reserved.